Are Compact Florescent Lightbulbs Worth the Health Risk? After more than eight months of deliberation, Congress has passed a law requiring more energy efficient light bulbs be used. The law was signed into the energy bill President Bush passed during his presidency. Despite the fact that Compact Florescent Lightbulbs (CFL’s) use a lot less energy, are relatively inexpensive, and last longer than traditional bulbs, the law has generated a lot of controversy. 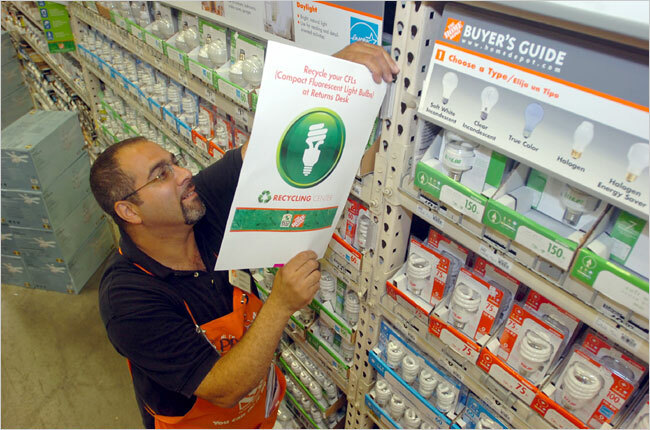 Energy Star CFL’s, for instance, use up to 75 percent less electricity than incandescent bulbs and last up to ten times longer. So why the controversy? The main concern about CFL’s is the mercury in each bulb. According to the Environmental Protection Agency, symptoms of mercury exposure include skin rashes, dermatitis, mood swings, memory loss and mental disturbances. Still concerned about the mercury in CFL’s? Consider this. CFL’s contain a relatively small portion of the chemical compared to some thermometers, a medical instrument we all have in our households. According to Energy Star, CFL’s contain 4 milligrams while older thermometers contain 500 milligrams, the equivalent of 125 CFL’s. Energy efficient bulbs are only dangerous if they break. If you decide to use them, proper precautions must be taken to dispose of or recycle old and broken ones. What’s my take on the debate? I think the positives of CFL’s far outweigh the negatives. Considering the fact that thermometers, an item which most of us have in our homes, contain far more mercury than CFL’s do, I don’t think we have anything to worry about. We just need to take the necessary precautions.